We've hit a pretty interesting project on Kickstarter , and is the reinvention of the bulb to adapt to new technologies: LIFX. LIFX is a light bulb with built-in WiFi, with which through its app for iPhone, we can control, wherever we are, its on / off or color of light, in addition to being very efficient with the electricity bill. 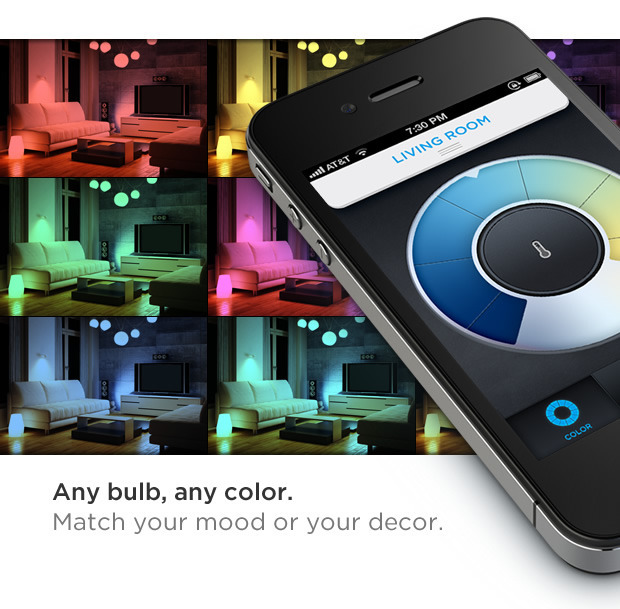 As characteristics of these bulbs can cite the option to control the intensity of light from within the app and can also set it to wane gradually over time as, for example when going to sleep or to awake. If you like doing home parties, you should know that by LIFX we get to have a real pub in our home, because we can be changing the color of the light, even adapting to the music played. Moreover, thanks to the integration of the app with your smartphone, if we receive a notice on our mobile we can set the lights flash to warn us. Having the home computer thus no manual override option off or on these bulbs, as our switches still work. If you like the initiative, do not hesitate to support the project from the Kickstarter page .